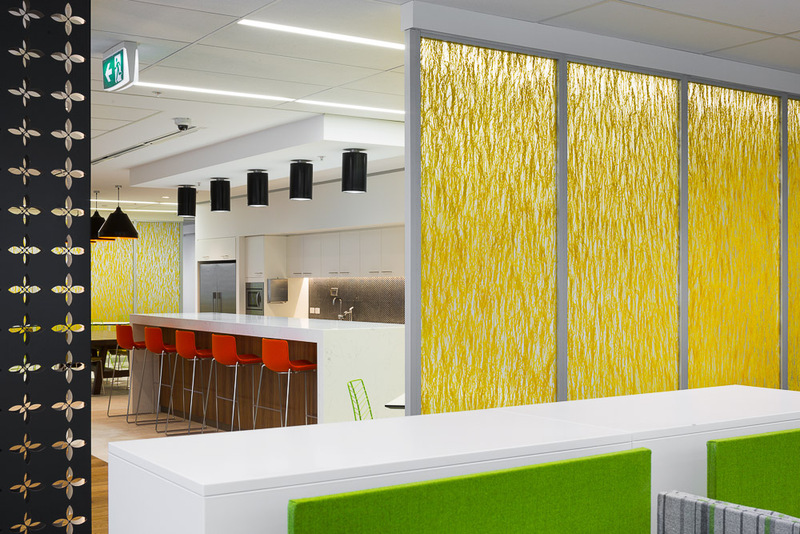 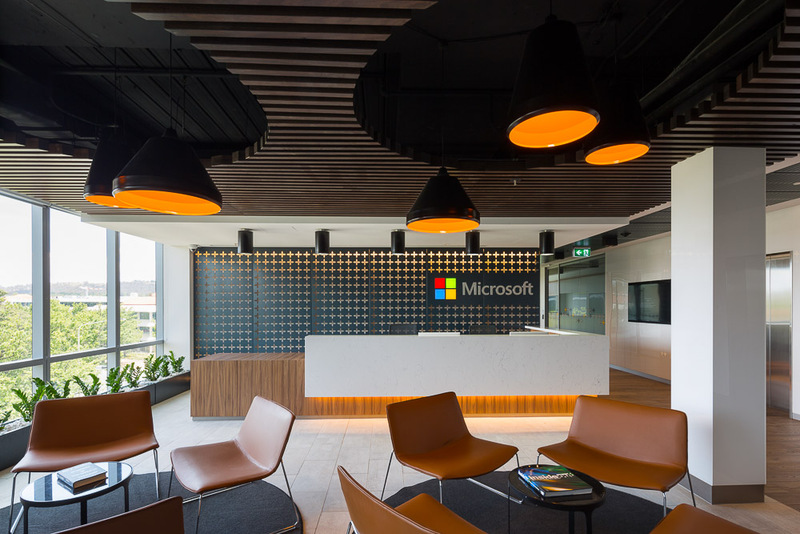 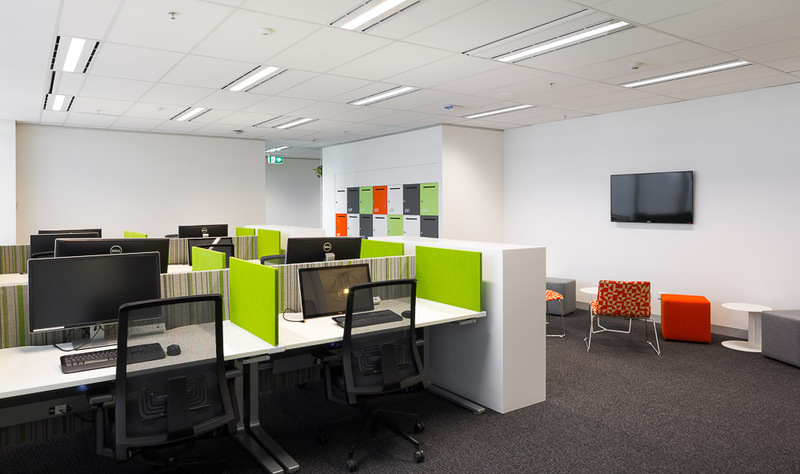 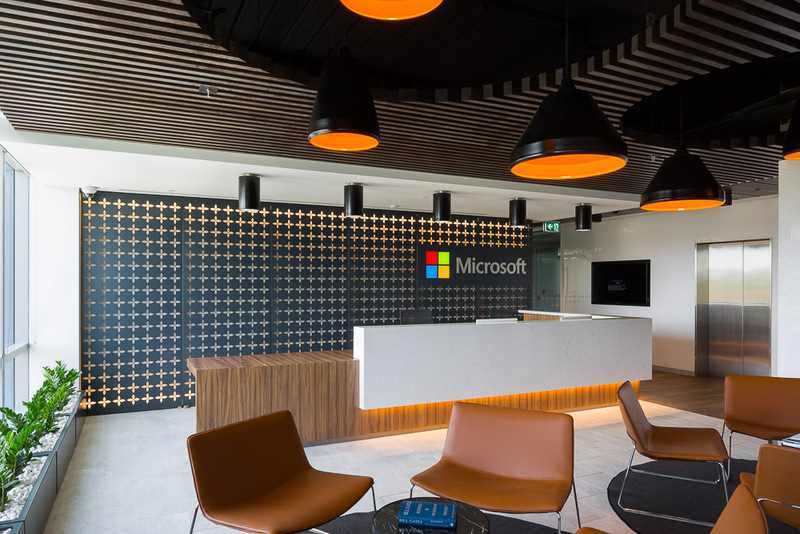 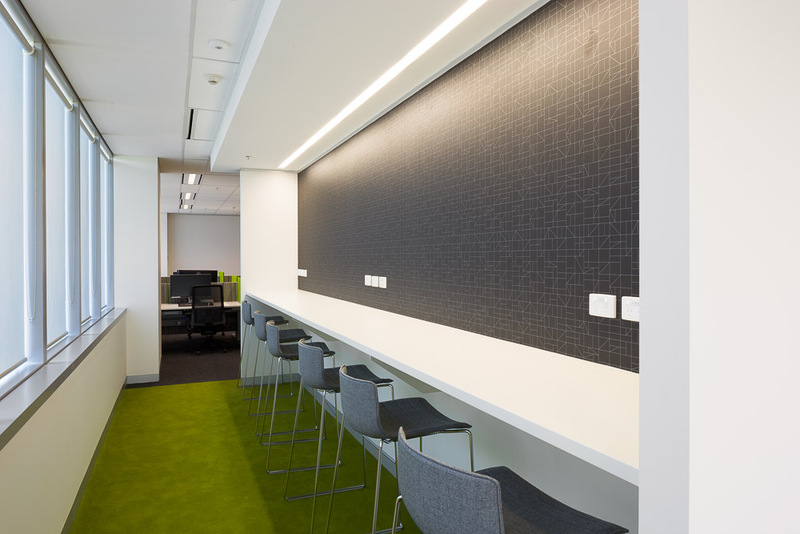 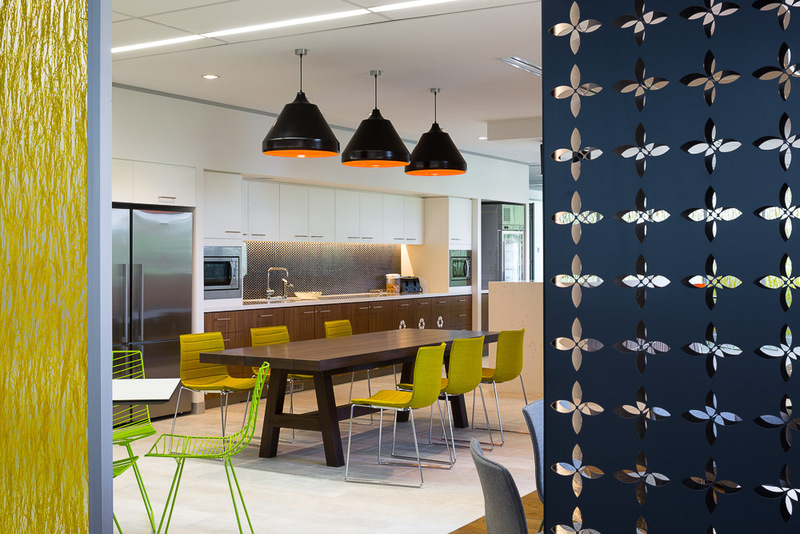 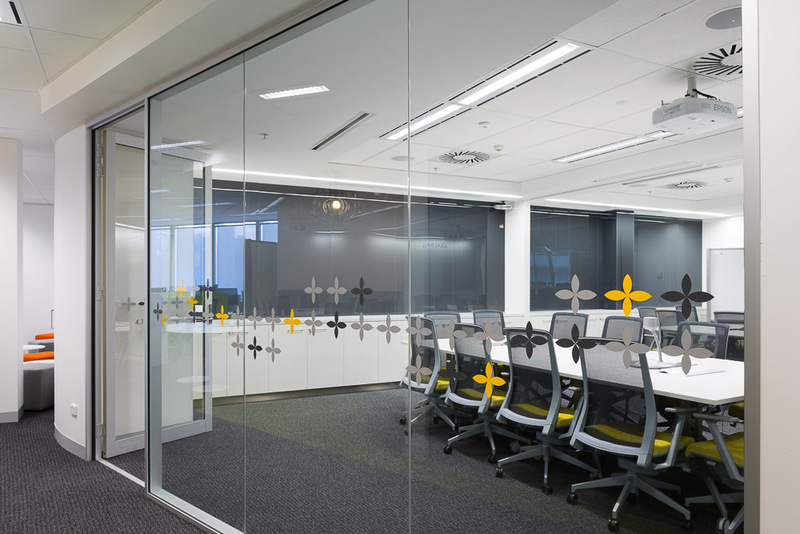 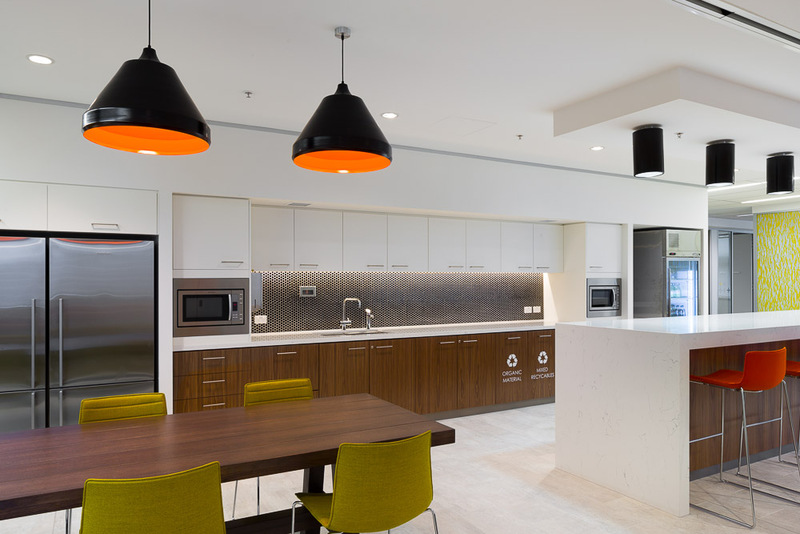 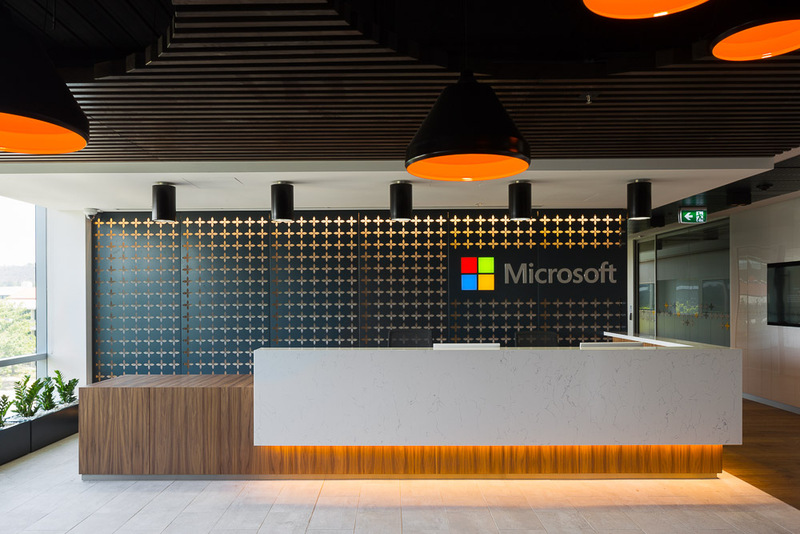 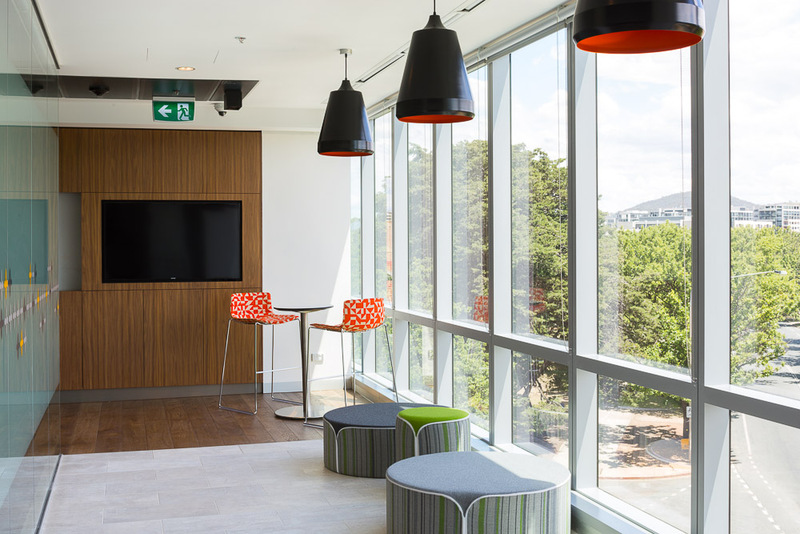 Fitout for Microsoft in Canberra. 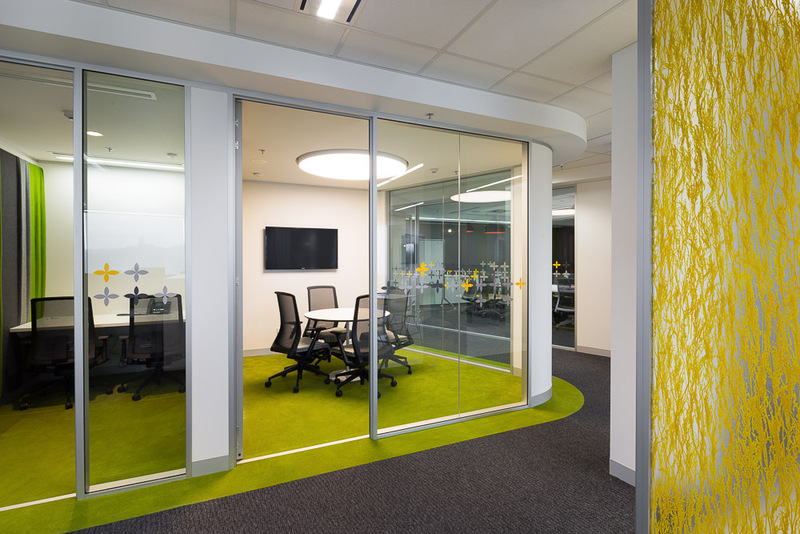 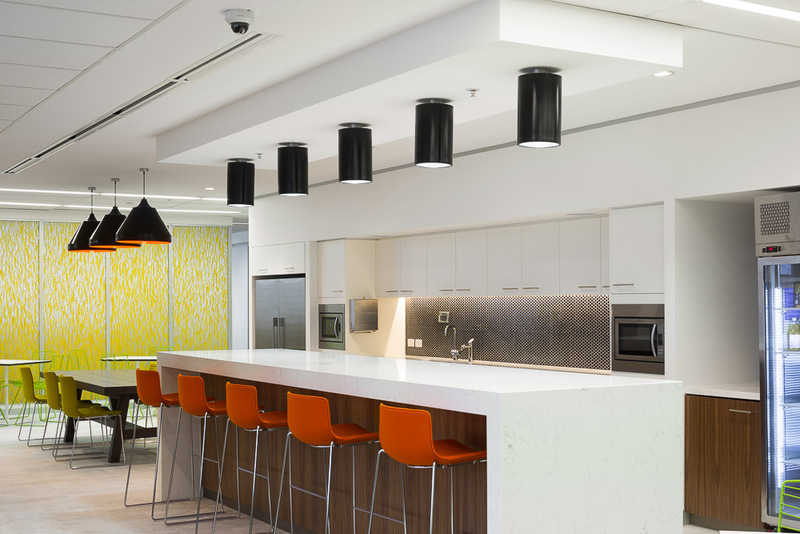 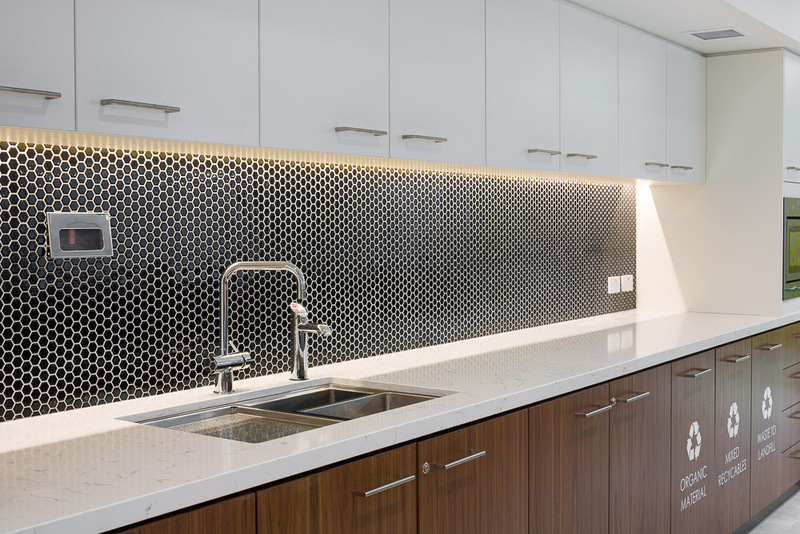 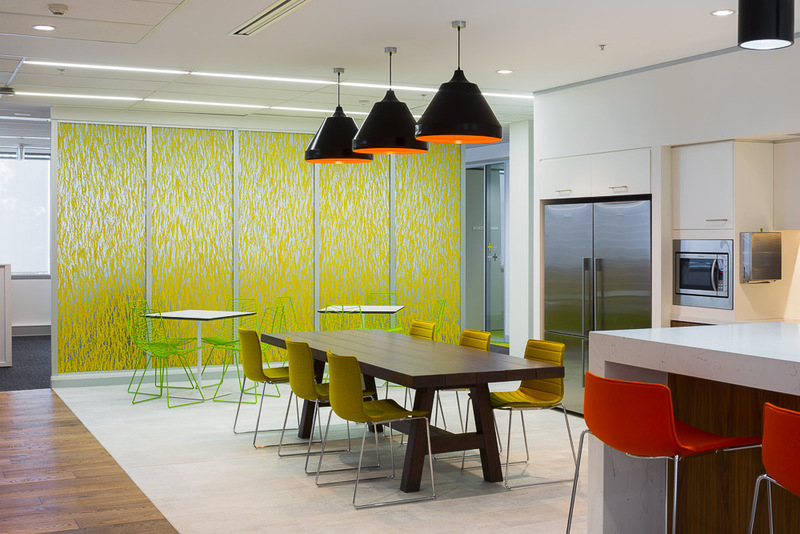 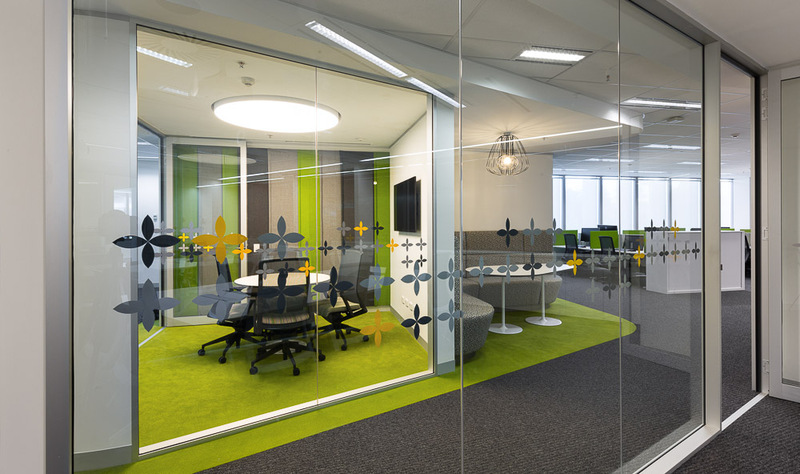 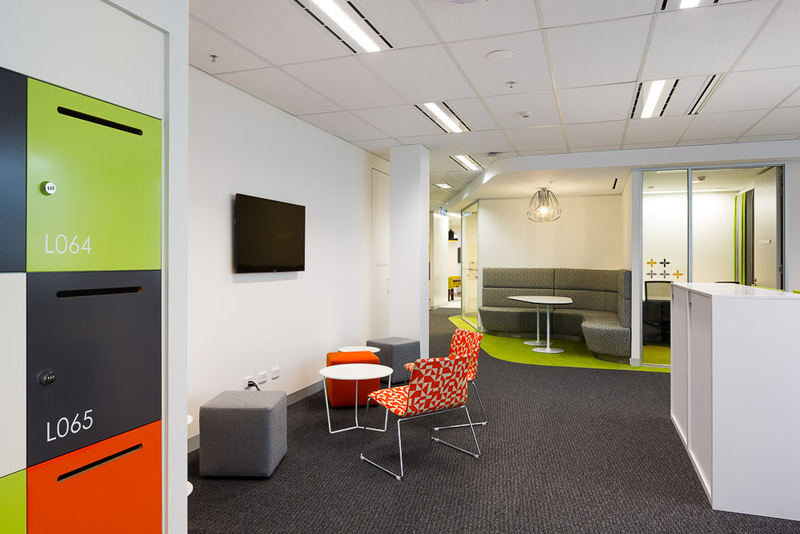 This trendy new age fitout has all of the latest in colour and style creating a neoteric work environment. 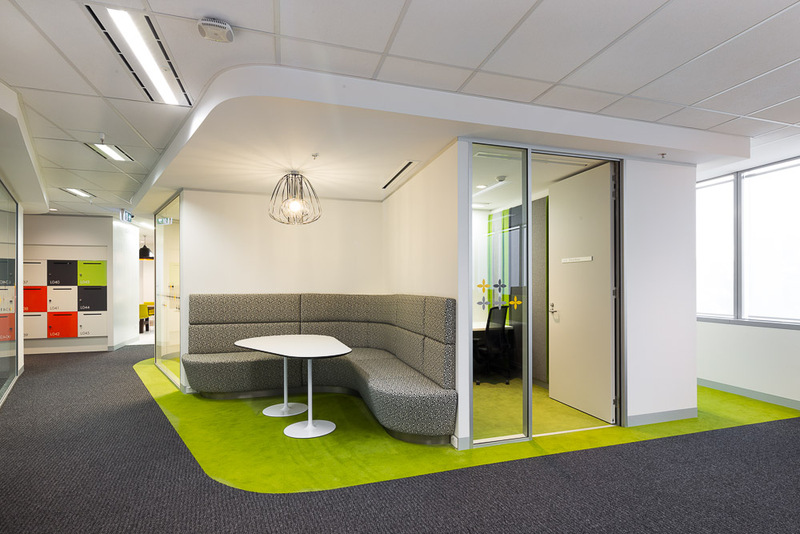 The joinery involved in this fitout includes lockers, lazer cut decorative metal paneling, upholstery, break out area and reception area.